I had such a busy day today, was organising an "Artistic Science & Scientific Art" seminar at the University - which went very very well - and so I couldn't listen live to the second day of my flash stories on Radio 4. 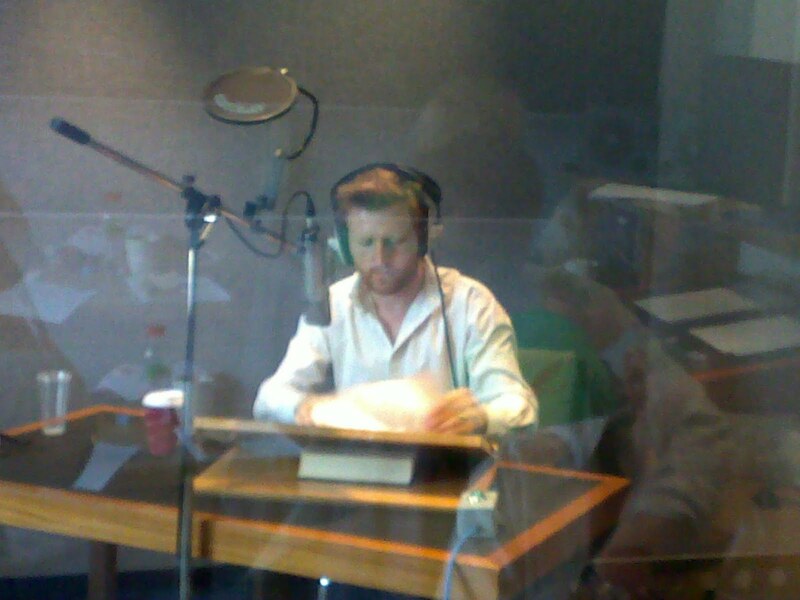 Probably just as well, I didn't get much done in the two frantic hours before the broadcast yesterday! So I just listened to them now, and it was just wonderful, in a different way from yesterday, 4 stories instead of 6, and perhaps the most odd of all my flashes. I got the loveliest email today from a teacher who asked if she could use that most odd of the flashes in her Theatre Studies class with Sixth Form students - what better response could I ask for? I am dying to know what her class thinks of it! Anyhow, am too tired now to do the free book giveaway, will give away 2 copies tomorrow, after the third and final program, which I am rushing back from London to hear live. What a week! Days 1 and 2 can be heard online here. I just listened to the first Afternoon Reading program with my flash stories and I am feeling quite emotional. The readers, Nicola & Tom, and Jeremy, the producer, at Sweet Talk, did the most wonderful job, I thought. Thanks all of you for the lovely messages through Twitter and other channels! Can't wait for tomorrow's program. If you missed today's, check here shortly, you should be able to hear it again for the next 7 days. Now for that book give away! 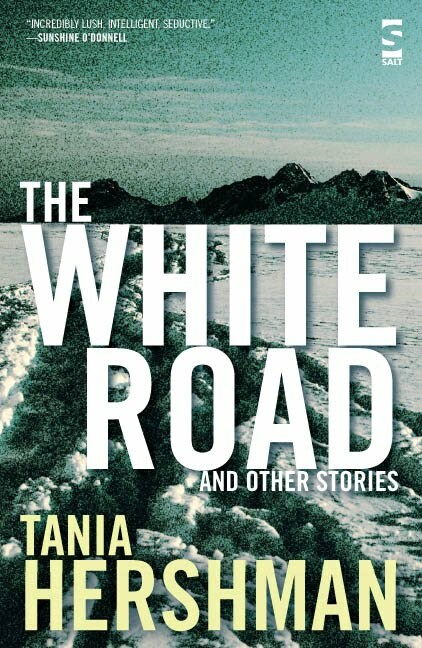 To win a signed copy of The White Road and Other Stories, the easy question is: Which stories from today's broadcast are taken from the book? (Hint: the list of stories is on the BBC, and the book's Table of Contents is here.) Leave a comment below and I'll pick a winner at the end of the week. Happy Flash! Sean O'Faolain Short Story Prize - 5 weeks left to enter! First Prize: €1,500 (approx USD $1800/ GBP £1250) and publication in the literary journal Southword. Could you ask for more? Deadline July 31st, open to entries from anywhere in the world of unpublished short stories up to 3000 words - and did I mention how much I LOVE very very short stories? I want to stress this point again: please send me your flash fiction. You are not in any way diminishing your chances by sending something so much shorter than the word count. And... knowing my less-is-more preferences, you may even be increasing your chances! Here's a blog post I wrote a little while ago about what I like to read, in case that helps. All the details on how to enter - by post or online - are here. Looking forward to reading your entries! Wheee...Flash comes to Radio 4!! I have waited a long time to be able to say this... and we're here! 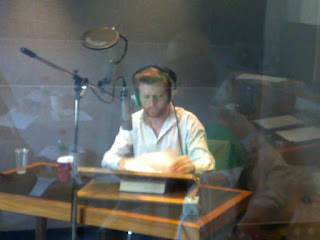 Next week, BBC Radio 4 will be broadcasting a whole week of my flash stories on the Afternoon Reading! Because the stories are so short, there will be 5 or 6 per day in the 15-minute slot which has uptil now only ever broadcast a single story. So: 16 stories in total, on Tuesday June 29th, Wednesday June 30th and Thursday July 1st, first broadcast at 3.30pm UK time and then available online as Listen Again programmes for 7 days afterwards. The week is aptly titled "Flash!" and more info is here including the list of stories each day - 5 of which are from The White Road and Other Stories, and the rest are newer flashes. In honour of this exciting event, I am going to be giving away one signed copy of my book on each day of the broadcast, and all you will have to do is answer a very simple question. So stay tuned, pop back on Tuesday, and find out how you can win! 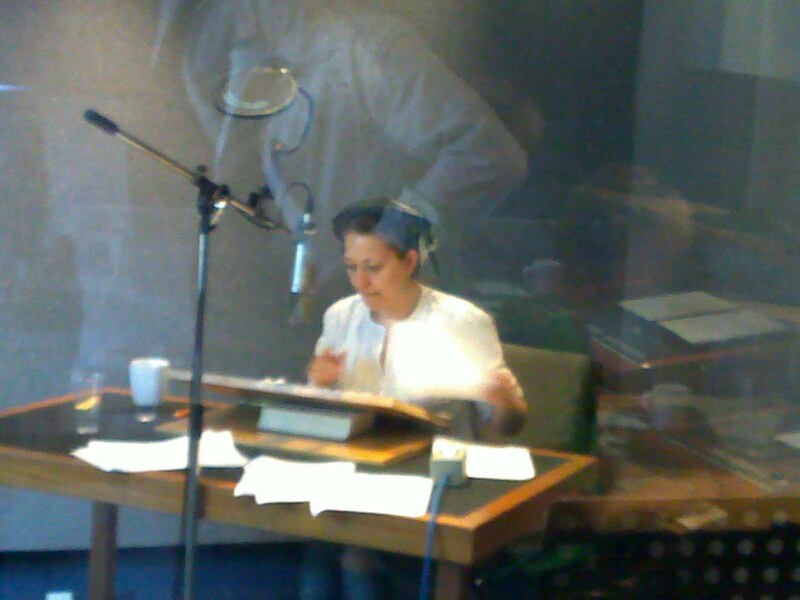 In the meantime, I went to hear my stories being recorded by the ever-wonderful Sweet Talk Productions in London a few weeks ago, here are pictures of the amazing Nicola Walker (soon to be seen on our screens again as "Ruth" in Spooks) and Tom Goodman-Hill doing their thing in the studio! We stayed in touch and finally met in the flesh at the awards ceremony. I blogged about what a disappointing experience the ceremony was, especially for short story writers. But meeting Ann, her husband, and her publisher, Will Atkins from Pan Macmillan New Writing, were the highlights, it's a shame we couldn't spend more time talking in an atmosphere slightly less like a disco! Ann's novel is so wonderful, the extremely moving story of Rachel, a young black woman who is struggling to keep her family alive in the badlands South Dakota in 1917, that I asked if I could interview her. We have been chatting for a few months about creativity etc... and she is also one of the judges of the Waterstone's Perfectly Formed short story competition - which closes on July 1st! - so running the interview now seemed like ideal timing. Tania: You said to me in a recent email that "revision is fun for me since I'm not creative. Coming up with a story line is agony since I just don't know what event should next happen. Once I have that down, then I can explore emotions. Dialogue is the most fun for me, and is my flash fiction. I love short pithy lines. When one or two pop out on the page, my heart soars." If you don't think you are creative, then how would you define "creative"? Ann: For me, "creative" belongs to those writers who make up places that don't exist or tell stories about events that never happened. Your "North Cold" is my idea of creative. You developed a character and had him give warmth to a cold city by placing a metal ball on a windowsill. I never would have thought of anything so original. I had to close your book for a few days to let my mind settle after reading that story as well as others in your The White Road. I have to start with real places. I discover small events that actually happened and then try to show those events through the eyes of characters. That calls for imagination, yes, but I start with an event handed to me. That applies to my characters as well. I need photographs of real people. I need to read diaries or newspaper articles. I can't spin a story without grounded facts. There's one other thing behind my inability to describe myself as creative. When I was a kid, a teacher -- a Catholic nun -- stated with complete certainty that only God was creative. Humans were not, case closed. I've not forgotten that. Every time the creative issue is raised, I hear her thundering voice and see her narrowed eyes. I don't believe her now, but I'm not taking any chances. If the nun's purpose was to strike the fear of God in a little kid's heart, she accomplished her mission. I have a good imagination, but others are creative. T: thank you for your brilliant answer. Much much food for thought. In Judaism, there is an idea that we are all created in God's image so that means we are all creators, in our own way. I hate what that nun said to you, the ramifications it had. But...what you did so wonderfully in Rachel DuPree is to fully inhabit your characters, imagine and create their voices, their lives. Is that not a creative act, regardless of how it started? I can't use real life, real facts, I wish I could. Also, another question: it does seem that there are at least two "types" of fiction writer, those how make it all - or most of it - up, and those who write "thinly veiled autobiography" or perhaps, in your case, biography. Do you think these should all fall under the same heading of fiction? Readers seem to get very confused - what is memoir, what's "real", and what is "fiction". Is there a distinction? Does it matter? A: Now for your question (I'm stalling here). This is a tough one. The idea of "thinly veiled autobiography" as fiction has me thinking. I suppose it comes down to balance. If a story's foundation is autobiographical, but an equal portion is not based on the truth, then it works as fiction. But if the great majority of the story is true, I don't see it as fiction. If it's 50/50, well, I really don't know. Maybe we need a new label such as mixed non-fiction/fiction. In any case, authors need to be honest about their work. Come right out and say that it's a mix. Why do people feel they have to cover their work? In the case of my novel, the towns actually exist and I did use some real historical figures. However, most of these figures were seen through the eyes of my characters. The one exception was the scene where my main character met Ida B. Wells. I imagined this meeting and it was not based on an actual event. Was it possible these two could have come together? I believe so. Both lived in Chicago at the same time and Wells did speak before groups. Did it happen? No. My main character never existed. She was inspired by a photograph I found. I didn't have a name, date, or any information about her. I took that photograph and gave her a life. I consider the novel 90% fiction and 10% non-fiction. The mix of fiction and non-fiction is confusing for readers. So often authors say their fiction is based on their grandmothers' or distant relatives' real lives. Such claims lead readers to believe the entire story is true. Memoir claims to be true and yet, who can remember all the details such as the color of a bedspread or every word of a conversation? Perhaps we are coming to a point where books require Author's Notes to explain away the confusion. It's never good when readers feel manipulated or cheated. Authors, regardless of genre, have a responsibility to readers. Honesty about one's work is one of those responsibilities. T: thank you, very interesting! Even more proof, to me, of how creative you are! For me, I don't care about "truth", it's subjective. I am more interested in the quality of the writing and the telling of the story. I do tend to read books that are labelled "fiction", but don't question beyond that how much is true. As a reader, I don't care. Your book is, to me, a great counter-argument to the old "write what you know" adage. Did you ever consider that readers might question how you, a white woman, could write from the point of view of a black woman? Did you worry about this? Your book has been very well received, especially by the Orange Prize judges! But what feedback have you had from readers? A:I'm so enjoying our conversations... It's interesting that you don't worry about the truth behind fiction. I had guessed the opposite since you have a science background. It's great that you let go of labels and read for the joy of reading. I just finished Mantel's Wolf Hall and believed every word of it. I also marveled at the sheer size of it. Now for your last question. I did worry about assuming the voice of a black woman and for a long time I didn't tell anyone about this project. When I finally gathered the courage to take an creative writing workshop, the instructor told me I had no business writing this story. I ignored that since publication was not my goal. I simply wanted to see if I could write a beginning, a middle, and an ending. I didn't want to write about my life (boring), and I wanted to learn about someone else's point of view. It was hard work, but fun. I worried equally about my Indian characters. Indians are often misunderstood even today, and some resent the old-fashioned portrayals of being warriors with tomahawks. Also, the word "squaw" is derogatory. I worried about using it but had to keep with the times. Based on my research, I tried to present one of the characters as a modern Indian who dreamed of going to California and did not want to be a nurse. For the most part, black readers have accepted Rachel DuPree and tell me they appreciate a different story about black Americans. Alice Walker, author of The Color Purple, graciously wrote a lovely quote for the upcoming U.S. edition. This validated the book, and I'm most grateful to her. My U.S. editor asked several Native Americans authors for quotes but we didn't hear from them. I'm trying to not read anything into that. T: what's the book you are working on now? Just a few hints! A:The next novel takes place in 1900 in Galveston, Texas, an island about a mile from the mainland. The story revolves around a college-educated woman who marries a dairy farmer. The story begins two months before the 1900 Storm, a historical hurricane that killed over 6,000 people. T: With the announcement of the recent Orange shortlists etc... there's this discussion again about the merits of women-only prizes. Do you have any response to this? What did your Orange short- and long-listings do for you? A:To better answer this question, I looked at today’s New York Times Book Review. Twelve novels or short story collections were reviewed in this May 16, 2010 edition. Eight of those books were written by men. I looked at today’s book review section of The Houston Chronicle. Two novels were reviewed and both were written by men. I understand this is not a fair sample but it does give pause. Until books written by women receive the acknowledgment they deserve, the Orange Prize is the one competition that celebrates women writers and their books. 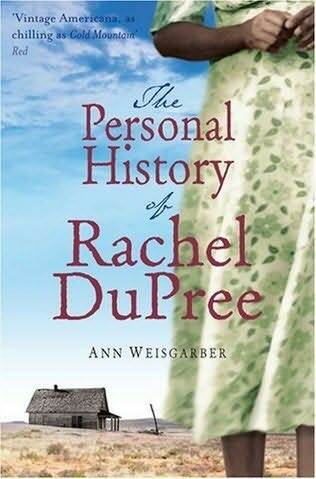 The short- and long-listings resulted in reviews for The Personal History of Rachel DuPree, something that hadn’t happened before. I’m convinced the publication deal with Viking in the U.S. happened only because of the listings. Best of all, Will Atkins, my editor, and his remarkable team at Macmillan New Writing received well-earned international praise and recognition for daring to publish an unagented debut author. T: And finally, I wanted to tie this in with you being one of the judges of the Waterstone's Perfectly Formed short story competition. What does your "perfectly formed short story" look like? A: I don’t write short stories, but I’m a reader and admirer of the form. I particularly like short stories that are narrow in topic but rich in character development. Short story writers must get to the heart of the matter quickly. Once into the conflict, they can take the reader deeper into the psychology of their characters. I love that moment when I think "the mood has shifted, something has changed." Since the beginning of the story is often fresh in the minds of readers, I admire writers who end their stories with a nod, subtle or overt, to the beginning. I think you'll agree that there is so much food for thought here, about fiction and biography, about women-only prizes, about writing "what you know"...and when you read The Personal History of Rachel DuPree you will be in no doubt about Ann's astonishing creative talents. I can't wait to read her second book. Don't forget to enter the Waterstone's Perfectly Formed short story competition! Just a quick blog post to say a HUGE congratulations to my great friends and fabulous writers (and Salt authors) Carys Davies and Susannah Rickards - Carys is the winner and Susannah one of two runners-up (with Frank O'Connor award-winner Simon Van Booy) of the highly prestigious Society of Authors Olive Cook award! Brief news from me: A lovely lovely meeting with the Clifton Library Book Group where I heard that wonderful line which I never tire of hearing: "I never normally read short stories, but now that I've read your book...." They bought 6 copies, which is an added bonus, it is just wonderful to sit and chat about stories in general with such an interested and fascinating group of readers. I also had a great time at the Bristol Festival of Nature - the University asked me to write two flash stories, one for each of the University tents at the festival - and they printed them out with spaces for kids to illustrate the stories. An interesting experience; I don't write for kids so tried to at least make it not unsuitable for children. I hope it was vaguely successful! I was there at the Festival, encouraging kids - and their parents - to do some drawing. It was fun! 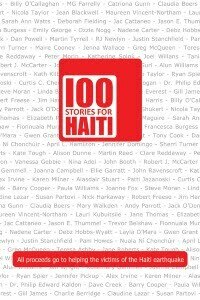 And I forgot to mention the excellent Waterstone's Brighton event for 100 Stories for Haiti last week (long long week) - it was a moving occasion, a true tribute and proof of how one man -in this case Greg McQueen - can and is making a difference. If you don't have your copy, find out more here. All proceeds to the Red Cross efforts in Haiti. I've had some interesting invites in the last two days but can't say anything yet. More soon! I am in Manchester, getting together with a few friends, chatting about writing and other stuff. And today, before I head back to Bristol, I thought I would go and wander around where I used to live when I was here as a student, 20 (!) years ago. I found the street I lived on in my 2nd and 3rd years, and as I wandered, bizarre snippets of memories came back to me. I couldn't remember exactly which tiny Victorian terraced house we lived in, so I wandered back and off to the Physics department, where I had spent so much of my time. Manchester has changed almost beyond recognition since I lived here - the Maths Tower where I spent half my time has been torn down! But... in Physics, time stands still. Exactly exactly the same. I sat at the back of one of the lecture halls, dark and silent except for an odd buzzing, and was quite overwhelmed. I let feeling emotional, and not in a good way. The whole experience made me think of the choices I made then and since. Risks I could have taken then but insecurities that held me back. I was so so young. Weren't we all. I think that will be my last trip down that particular memory lane. Done. The BBC Short Story Award closes this Friday, June 18th... and the Bridport Prize, which this year has a FLASH category for the first time, closes on June 30th. 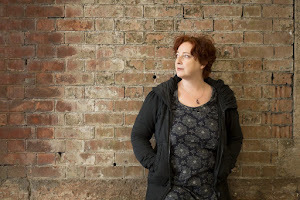 If you want some stimulation and guidance to get you writing that winning story, my friend and writing colleague Vicky Grut, is running just the workshop you need on June 26th, just in time! What makes a great short story? Do short stories need a plot? What about a ‘twist’ at the end? Where can you publish? We’ll look at these and other questions, and, using writing exercises, will explore elements of short-form storytelling in practice. Participants will be asked to read a couple of short stories in advance (texts will be supplied). · Somehow, seeing the variety and quality of what other people – and you yourself! – can come up with on the spur of the moment, restores one’s faith in the human ability to be immensely creative. · Vicky’s chairmanship was excellent. She kept firm hold of what we were doing and where we were going (so we didn’t waste time), at the same time as drawing everyone out and getting us all participating fully. She knows her stuff. · Thank you for today's class. I wish we had one every Saturday! 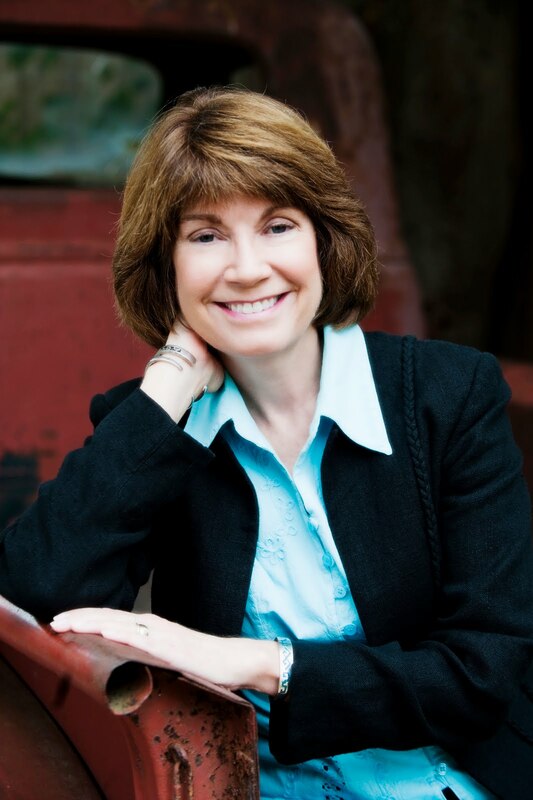 Workshop leader Vicky Grut’s awards for short fiction include the Chapter One International Short Story prize in 2006, and an Asham Award in 2009. Her stories have appeared in magazines and collections including Random Factor (Pulp Books, 1997), Reshape Whilst Damp (Serpent’s Tail, 2000), Valentine’s Day: Stories of Revenge (Duckworth, 2000), two volumes of the British Council anthology New Writing: 13 (Picador 2005) and 14 (Granta, 2006), and Waving at the Gardener (Bloomsbury, 2009). She is a reader for The Literary Consultancy and has taught for the Open University, The Arvon Foundation and London South Bank University. The workshop costs £70, which includes tea, coffee and a sandwich lunch. Central London venue. Small group. As I am writing this, our cat Cleo is asleep on the sofa beside me. She came home last night, with a lovely pink bandage on one leg, a sore hip and a grazed head, but her sight seems to have returned, thank goodness! Unfortunately, she needs to spend most of the time for the next 6-8 weeks in the cage the vet lent us, to allow her hip to heal. She's been fine with that for the past 24 hours, but I can imagine she's going to be pretty grumpy when she feels a bit better. We're just very grateful she's back - apparently, our vet said it's the first instance he has heard of of a driver hitting a cat and then taking it to the veterinary hospital. We - and Cleo - are very very lucky! Not So Perfect... but almost! Before I welcome Nik Perring, I want to thank all of you for your lovely messages of support about Cleo. The good news is that we took her from the amazing animal clinic to our local vet this morning. Her right eye is responding much better to light, which is great news, here's hoping she keeps on getting better. The vet is going to try and sort out her hip and we hope to have her home tomorrow. And no more trips to the pub for her! I also just wanted to quickly mention that I didn't quit Facebook because of anything that happened on Facebook. This incident (on email) was just what finally persuaded me that I need to drastically cut down on distractions and public cyberlife for now, and today, Facebook-Free Day 1, I am certainly feeling calmer and more clearheaded! Finally, I was very honoured that the wonderful Ethel Rohan asked to interview me for Dark Sky Magazine, and the interview is up there now, if you'd like to pop over - I reveal something most people don't know about me, and do a free-write, which was a lovely thing to be asked to do. Thank you, Ethel! Now to today's most important business. It is always a sheer delight when a friend publishes a book. But it's even more of a joy when you have been there almost from the first drafts of many of the stories, seen them evolve, loved each of them singly, and now you seem them so beautifully presented in a miniature illustrated package! So it was - and is - with my good friend and writing colleague Nik Perring's Not So Perfect, published tomorrow by Roast Books. A little about Nik: Nik Perring is a writer, and occasional teacher of writing, from the north west of England. His short stories have been published widely in places including SmokeLong Quarterly, 3 :AM and Word Riot He blogs here. These short short stories are glorious ammunition to fire at those who link brevity with insubstantiality. 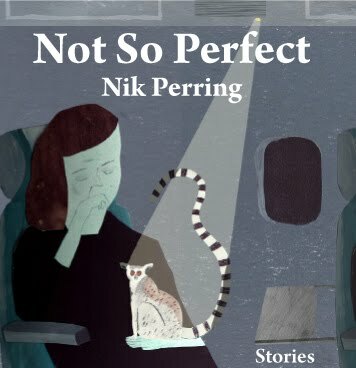 Nik Perring's pitch-perfect miniatures deal with such topics as death, love, loneliness and relationships with poetic cadences and dark humour. Although amongst these stories you will find boys who are sharks, girlfriends who perform magical heart surgery and mechanical women, these are no fairy tales but true fictions. Perring has the uncanny ability to raise up the everyday and the mundane. Nothing, thankfully, is black or white; the grey area is where the beauty lies. Don't shout at me - but I am really enjoying asking my interviewees to play Word Association related to their book to whet your appetite about the stories rather than answer very serious and clever questions about writing, many of which Nik has already answered so well on the previous stops on his tour, a list of which is available here. I did get myself together enough to ask him one "proper" question at the end! A state of compromise that is often strived for and occasionally reached. Staring, her jaw set and lips pressed together, she hitches up her dress. Something we’re given to define us. Often incorrect. When she'd said his name it was as though it had weight, as though it had mass, colour. A natural reaction to an intense emotion, though it can depend on a person wanting to. You see when a woman - well, any woman I've ever known - starts to cry it's loud and breathless and all over the place. There is no adequate definition for this word. Nothing can be described as normal. She ticked when she moved and she thought no man could ever love her. A thing that does things naturally and, mostly, without thinking. Often furry and hungry. We were in a middle row on a plane on a flight back from Europe when my wife threw up a lemur. An object that is as fragile as it is powerful. "It won't hurt, my love," she whispered and I couldn't feel her kissing my lips. I couldn't feel her slice down my chest or split my ribcage either. Something that happened a long time ago that’s remembered as being much better or much worse than it was. Your mate, Mike, has been showing you the grenade he found amongst his granddad's belongings. Something to bring order and colour to people’s (mostly) working lives with an adhesive strip on its rear. The woman's house was a rainbow of squares. Its walls were a patchwork of Post-It notes, all equally space, almost aligned. Tania: Nik, inspired by the recent feature in last weekend' Guardian, my question is: what is a question no-one has ever asked you and how would you answer it? Nik: Now that is a good question. I think the one question I've expected to be asked and haven't yet heard would be something like: How hard is it being a fiction writer. And if I was being honest in my reply I'd have to say: really hard indeed, at times. People often ask where I get ideas from (answer: my head) which can be difficult. There's a constant worry that ideas, or good ones at least, will dry up or that, even if I have them, I won't be able to make them into stories that are good enough for me to be happy with. Or even if I do it's a worry that no-one will like them. As fun as this job is, it does come with an awful lot of pressure and I think the worst thing about that is it's all pressure that comes from me so it's difficult to turn off. Thanks so much Nik. I hope this gave you all a taste of Nik's fabulous short short stories, this is a glorious pocket-sized book whose contents are far bigger than their size might imply. Find out more on Roast Books and Nik's blog.